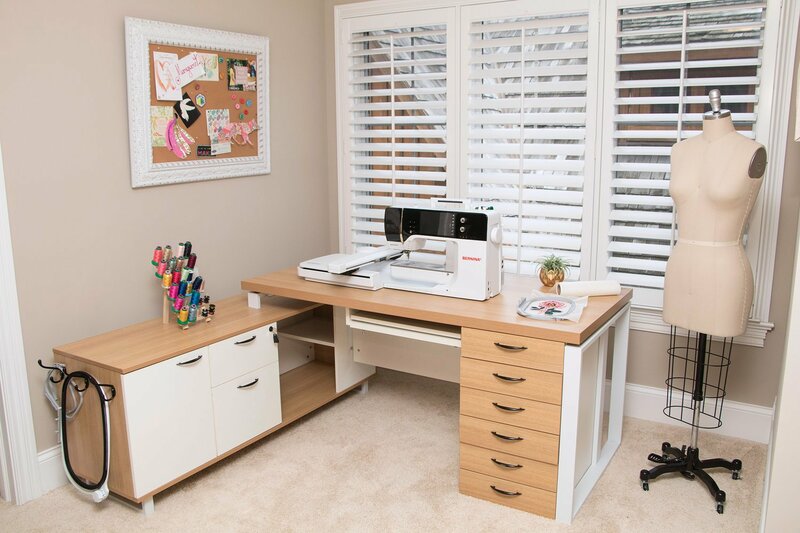 The Loft 1 - Work and sewing Station is design to offer generous space for every type of sewing. No matter if you are quilting, embroidering or crafting this L-shaped table will offer you enough work and storage space for all your tools and projects. This table offers an easy adjustable sewing machine insert (22 x 12 inches) that can also hold larger sewing machines. This insert will allow you to have your machine flat with the table surface for an extra-large sewing surface! 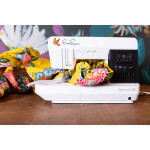 Its modern and well thought trough design will be the new center point of your sewing room.